ZIMBABWE – Zimbabwe’s President Robert Mugabe says his successor must be chosen democratically and that his wife will not automatically inherit the role, a warning to feuding members of his ZANU-PF party that he is still in charge after 36 years in power. The comments from Africa’s oldest leader, now aged 92, are his clearest indication that he wants to be president for life. In a two-hour interview with state broadcaster ZBC TV late on Thursday he said: “Why successor? I am still there. Why do you want a successor? I did not say I was a candidate to retire.” Leaders were elected not appointed, he said. Mugabe said he was not behind his wife Grace’s quick rise within ZANU-PF, which has led to reports that she has plans to succeed her husband. “Others say the president wants to leave the throne for his wife. Where have you ever seen that, even in our own culture, where a wife inherits from her husband?” Mugabe said. The former liberation fighter was chosen in 2014 to lead his party for another five years, automatically becoming the ZANU-PF presidential candidate for Zimbabwe’s 2018 presidential vote. He will be 99 if he wins and completes that term, his last under a new constitution. He also told ZBC TV he wanted to live to 100, that he was fit and still did daily morning exercises. Zimbabweans follow his health with keen interest and some fear the government could be paralyzed and the country riven by instability if he dies without resolving the succession issue. “I am happy because I am about to reach the age I want. You know the age I want to reach – 100 years. 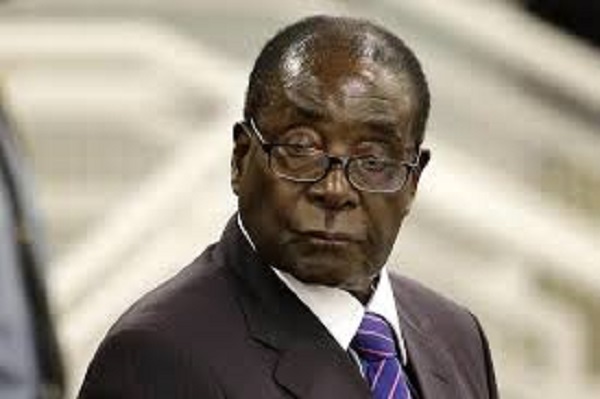 So only eight years remain,” Mugabe said. Fighting over leadership of a post-Mugabe ZANU-PF has intensified since late 2014, when Mugabe accused his deputy, Joice Mujuru, of plotting to oust him and fired her. Mujuru launched a new political party this week. Mugabe said Mujuru’s party was doomed to fail and that ZANU-PF was still intact. The in-fighting was “peripheral”, he said. Critics blame Mugabe for many of the Zimbabwe’s problems. They say his policies, including the seizures and redistribution of white-owned commercial farms, drove one of Africa’s most promising economies into an 8-year recession and almost halved output. In the same interview, Mugabe said his government would take possession of all diamond operations, a week after his mines minister ordered a halt to mining in the Marange diamond fields.